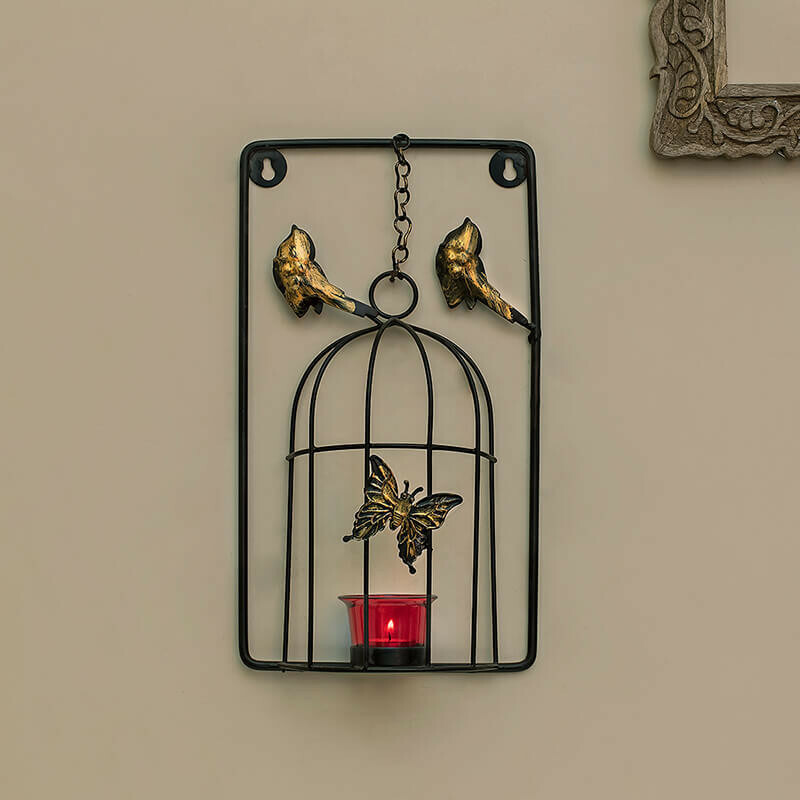 Light up your home like never before with this beautiful looking wall art tealight holder which has shows 2 free birds flying away from cage. 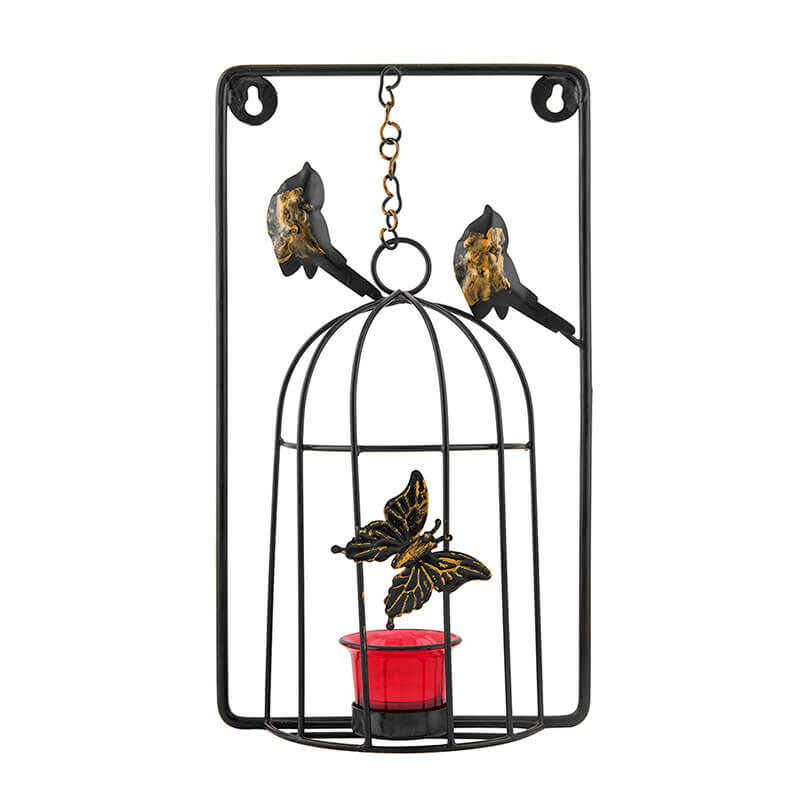 The birdcage holds a tealight to create a relaxing atmosphere in any setting. 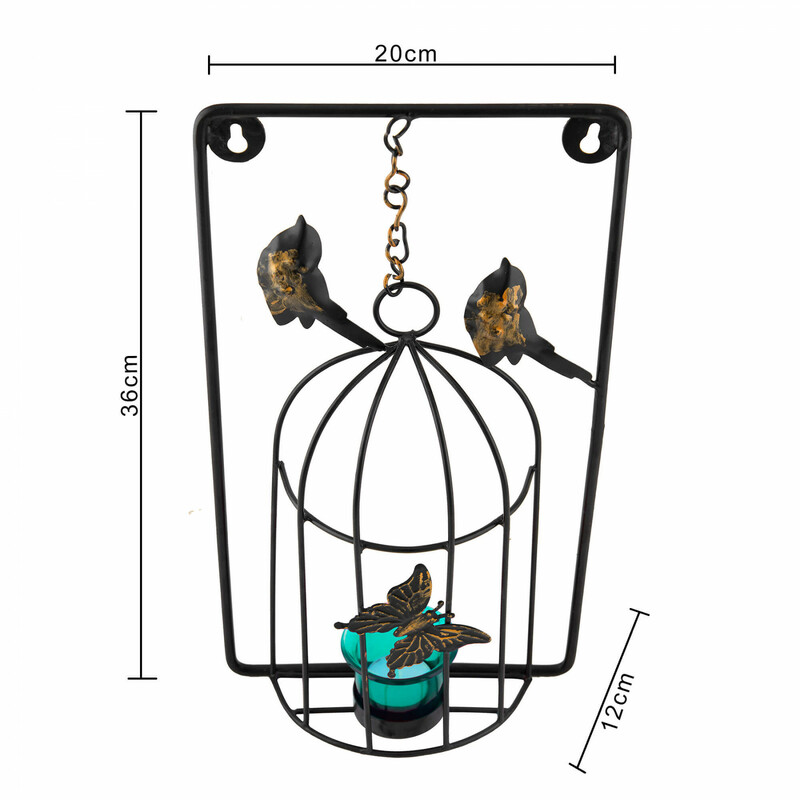 It best suited for balcony, dining table, indoor, outdoor. 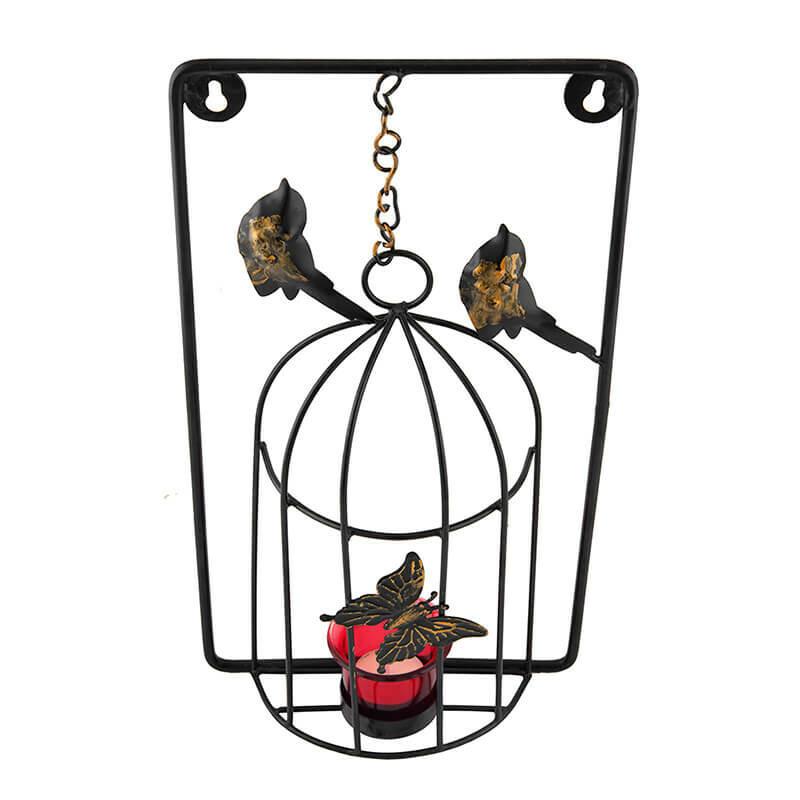 As this product is individually and delicately handmade by craftsmen there may be slight variations in each product.